There is no doubt that personalisation has become crucial to the success of any digital marketing campaign. On one side you, the marketer, are providing a spot-on experience for consumers that makes them feel understood, valued, and connected. On the other side are the consumers who, in exchange for this warm and fuzzy experience, reward you with more meaningful engagement, quicker conversions, higher cart values, increased spend, and ongoing loyalty. They’re happy with the relevant experience you’ve delivered . 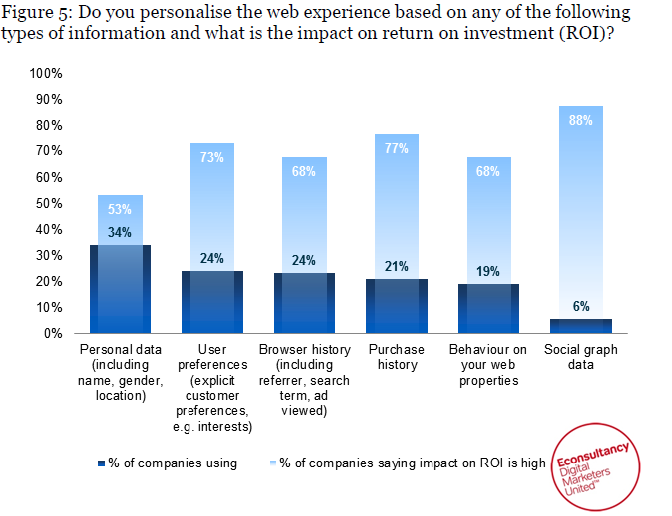 So, what are the benefits of personalisation and why is it so important? When customers visit your website for the first time, personalization offers small but meaningful steps toward a 1:1 interaction that have long lasting results for the business. If your website identfies the source that has led the visitor to your website – such as an email, pay-per-click advertisement or affiliate site – or offer a welcome message geo-targeted to the visitor’s location. Visitor's location is effective if the visitor on a mobile device and near a physical store. Personalization can also engage a new visitor in real time with a compelling call to action, such as a Deal of the Day or newsletter offer. Cross-selling has long been a part of the sales process and most of the time, if you’ve come for one item, then you'll probably leave with one item. 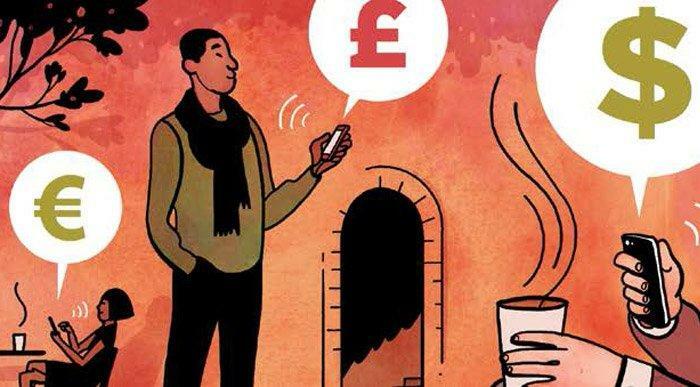 However, personalising the cross-selling approach based on each customer’s purchase history can help to gently nudge them into buying more than one item. So, a more personalised experience for them and a higher conversion rate for you! Personalization allows you to increase customer retention through more relevant and tailored experiences with the brand. Personalization requires you to collect data about your customers that you can later use to to make recommendations and tailor promotions to each customers individual needs.The two cornerstones of customer retention are relationship and familiarity. Personalisation facilitates both of these things helping to build strong relationships with your existing customers whilst breeding familiarity. 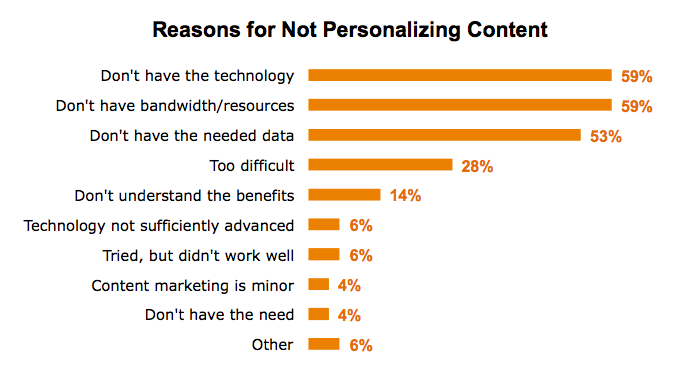 The latest CMI survey revealed why marketers haven't yet begun using personalization. Let's have a look. We live in a world today where consumers are bombarded each and every day by new content, new products and new services. We spend so much of our time online now that each and every day, we are subjected to a vast amount of content and achieving stand out in such a crowded market place can be difficult. From the content themes in question to the way in which you communicate with your audience, being relevant adds an air of authenticity but also makes your messages or opinions more believable. According to Rapt Media, emerging content technology is the key to creating a new kind of customer-centric experience that also allows marketers to glean deep analytics from the content, understand its effectiveness, and optimise it for better performance. 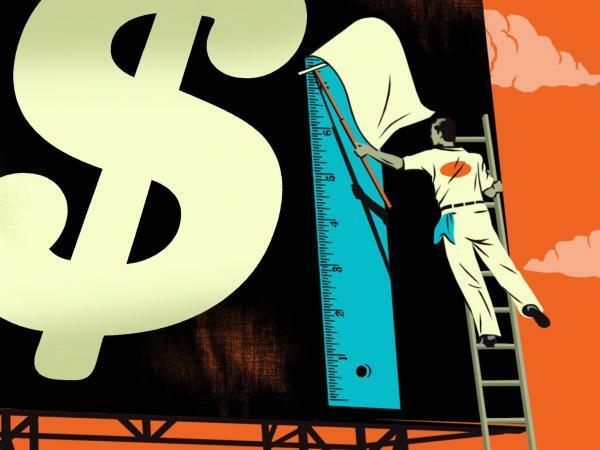 By continually testing the key aspects of your communication strategy – tone and content, level of communication, frequency – you’ll find the sweet spot for boosting your revenues while adding value to your customers. At Knexus we've built a solution called Experience Personalization. It provides fully personalized experiences delivered into chosen digital touch points, ensuring high relevance, timely content that matches customer needs and exceeds expectations, resulting in maximized engagement ROI.